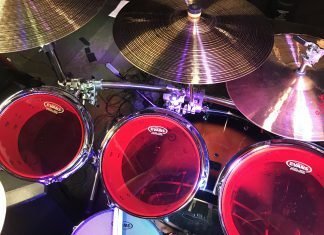 In this day and age of Stamps.com and other non-traditional postal options, I don’t how many of us stay on top of postage stamps but if you do, then you know that the United States Postal Service has a “Music Icon” series of stamps. The series is pretty interesting as it started in 2013 with the issuance of three stamps commemorating Lydia Mendoza; Johnny Cash; and, Ray Charles. In 2014 the USPS announced two more stamps featuring Jimi Hendrix and Janis Joplin. Later this Summer, Elvis is slated to join the bunch. The USPS announced that the King of Rock N’ Roll will be on a Forever stamp as part of its Music Icons series with the artwork for the new stamp to be released at a later time. The Elvis stamp is slated for an August 12 release with a first-day-of-issue dedication ceremony to be held at Memphis’ Graceland as part of the “Elvis Week” festivities. As some of you know, this is not the King’s first go around with stamps. 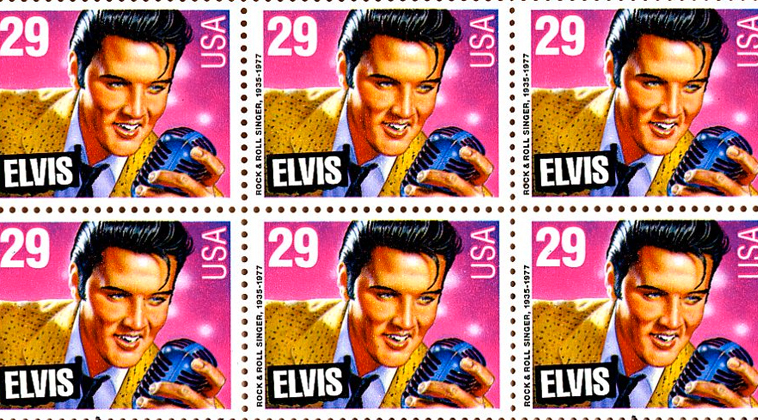 Presley first appeared on a U.S. postage stamp in 1993. Great job and great choice by our Postal Service for selecting the King. With that kind of postage few will be returning to sender, that’s for sure.